After Dropping a hit and hot banger featuring DJSpinall, Starboy Wizkid unveils a brand new single titled ”COMMANDO” featuring Mut4y and Ceeza Milli. Wizkid is still working tirelessly to maintain his authority of having successfully dominated the Nigerian music scene with his order of sounds. 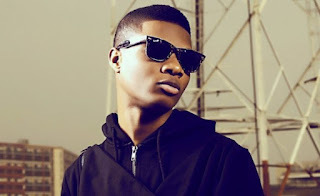 He is now bringing his Starboy movement to the front with involvements from affiliate artists and producers. ‘Lagos Vibes’ is a love charge (song) produced by Spotless, one of the incredibly talented acts that featured on the continental hit, Soco, and together with Wizzy, they create an Afro-inspired pop music offering that shows off how well-honed he (Wizkid) has become in the Afrobeats music sub-genre.